Got a huge mess of cables in your car or desk just to charge your devices?? 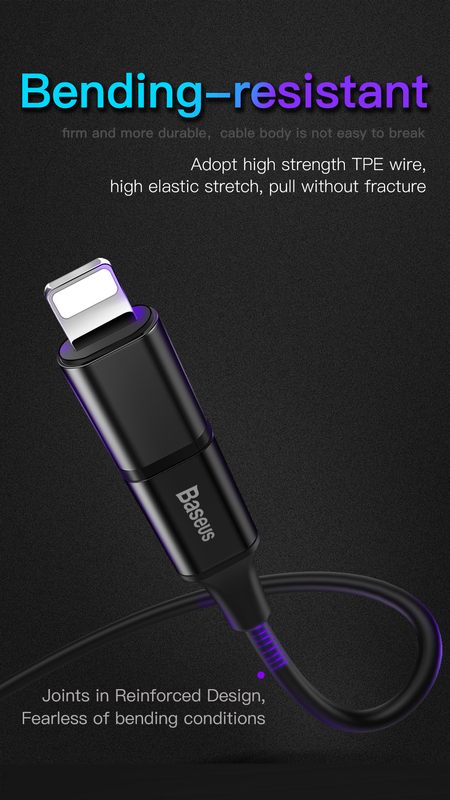 The Baseus All-in-One Mobile Device USB Cable is a perfect charging cable for a vast range of mobile devices! including IPhone, Samsung & almost any other brand out there! It features a Universal Micro-USB connector, but also has 2 more attachable connectors that make it compatible with virtually any device out there! Use it at home or on the go for all your mobile devices! 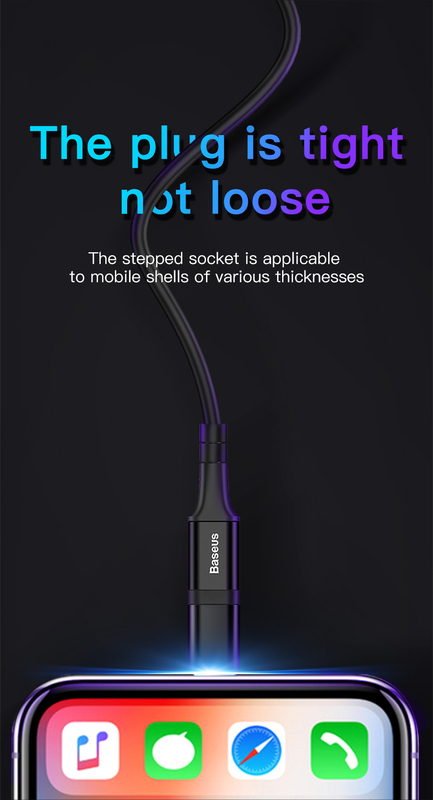 That means only one cable for your phone, tablet, Kindle, power bank and other USB charged devices! Baseus All-in-One USB Cable features a pure copper core that allows for extremely fast charging time & data transmission for your devices. 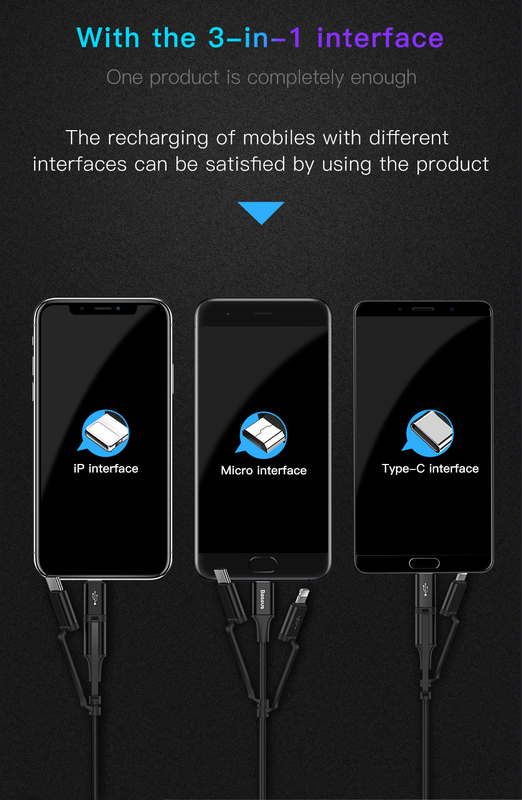 USB Type C for the newest models,including Huawei & Nexus devices etc..
Micro USB for Samsung and other Android devices. ALL IN ONE: One cable compatible with all mobile devices. MULTI PURPOSE: Use only one cable for all your USB charged devices. 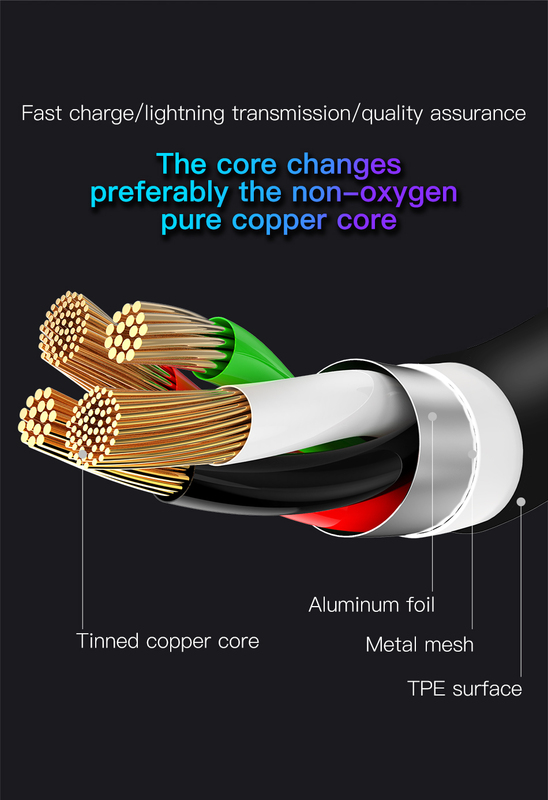 PURE COPPER CORE: Extremely fast charging time & data transmission for your devices. 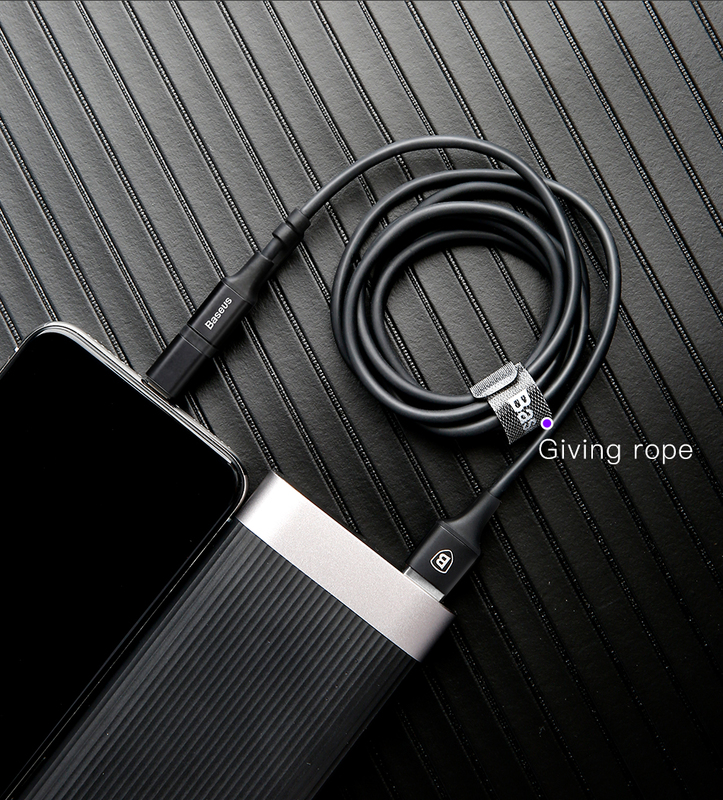 DURABLE: This cable is extremely firm and bend-resistant. It's reinforced base ensures durability & tear resistance. 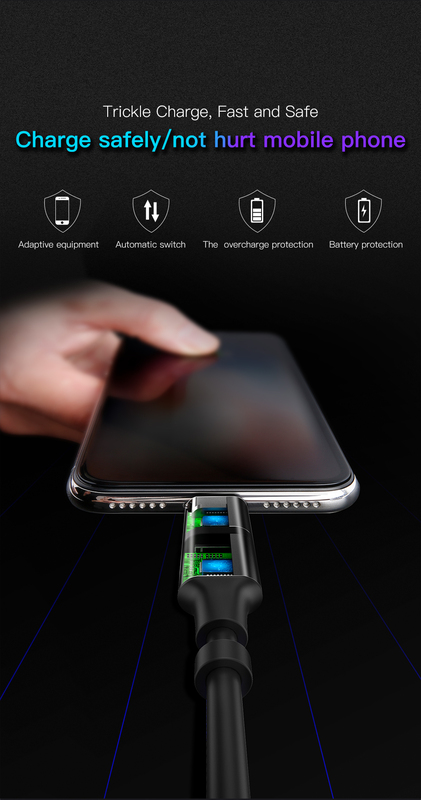 FAST CHARGING: 2A rapid charging technology (25% faster charging).